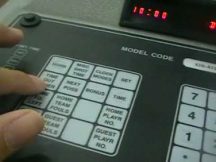 Would you like to be a clock operator for high school football games? If so, this for you. The Association of New England Football Officials (ANEFO) will be holding a clock operators class and exam on Tuesday, September 18, 2018 at 7:00 p.m. at the Irish-American Club, 177 West Street, Malden, MA 02148. The class is FREE. This is a great opportunity for officials who work other sports who want to get into football. If you interested, just show up, take the class and the exam. For information, contact Skip Likins, ANEFO President, at skiplikins@comcast.net.